Strip stets are done and I've started subcutting them for sewing. For those of you not aware, these are for Bonnie Hunter's winter mystery quilt, Grand Illusion. We are only on week 3 so there is plenty of time to join in the fun! Since the last clue took so long, nothing has changed on my design wall. Hope to get finished with clue #3 tonight but not going to stress if I don't. Things are way too busy for that. 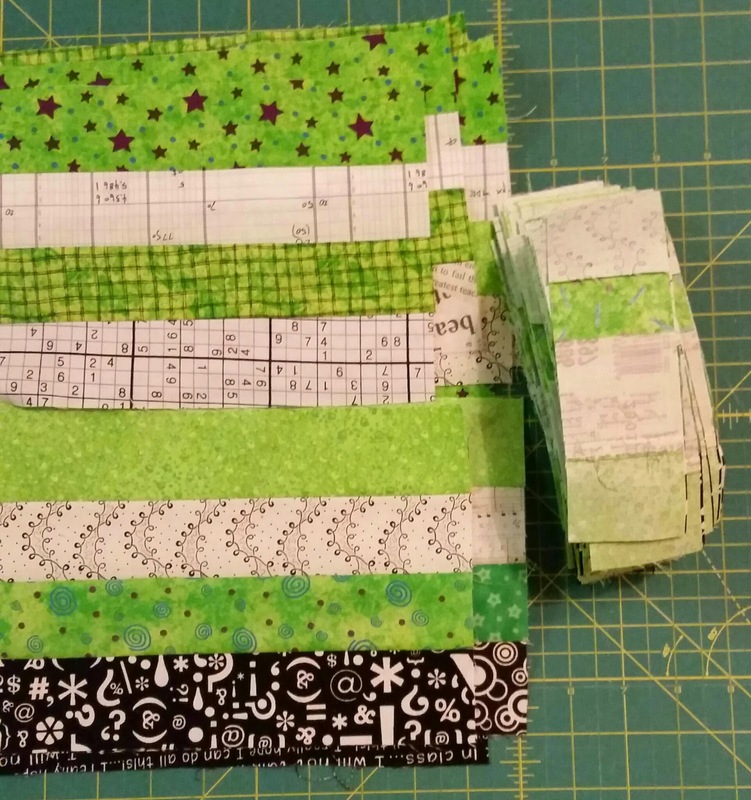 Don't forget to stop back by tomorrow to join our Leader/Ender linky party!!! It's so much fun to see what projects people are making for their "free" quilt! So what have y'all been working on? 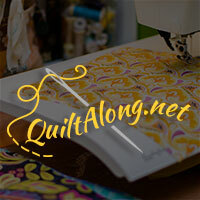 I'm linking up with Patchwork Times and Quiltville. I love your neutrals, they are fun!! 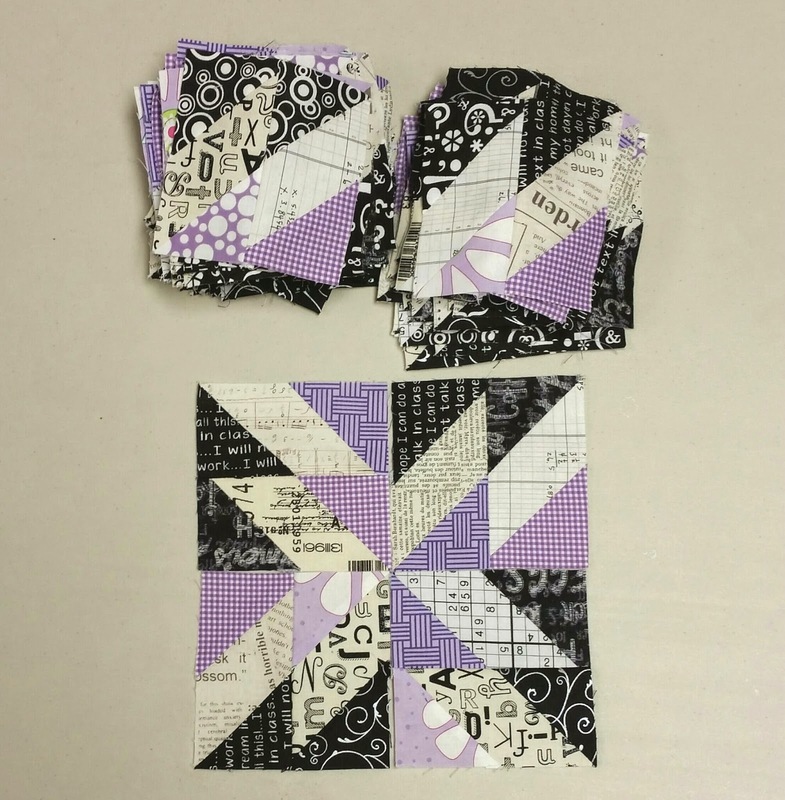 I really like your purple, black and white blocks. They will look great with the green. It's fun to see what you all are creating with this mystery. I haven't made any plans for my bonus triangles yet. Still coleection them from Celtic Sostice's chevrons. This week was my Busy week too! I have a few more clue 3's to make. Glad I changed my Aqua to Purple. You have a busy design wall! I like the purples and limey-greens in your GI palette. 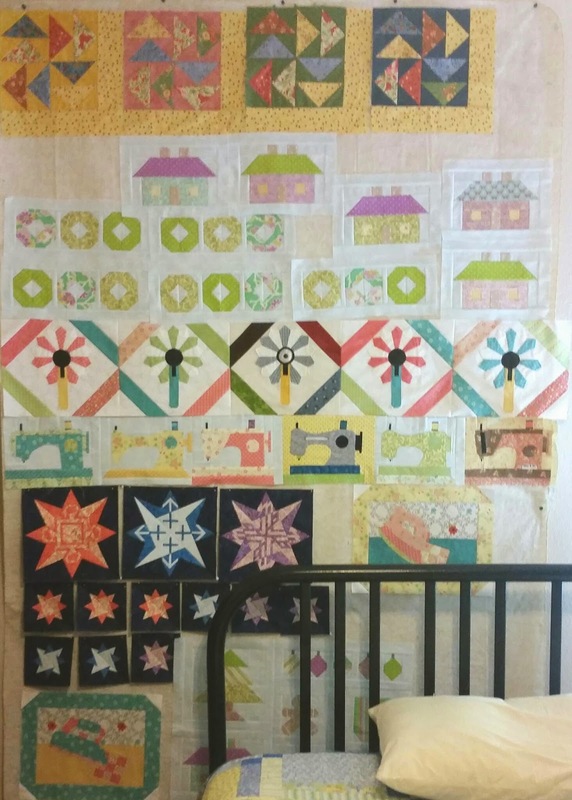 Loving the mystery and too cute the sewing machines on your design wall! Sudoku fabric? No way! Your quilt is looking pretty awesome. I am still busy on Part 1 and Part 2. Wouldn't it be nice if I could get caught up and have a top done for the new year? We shall see. You have some fantastic neutral fabrics there! You've made a lot of progress, espeically since it sounds like you've done a fair measure of holiday prep stuff too. Those purple and black blocks look great.